Paddy's traditional country lies North West of Nyirripi, approximately 500 km from Alice Springs. 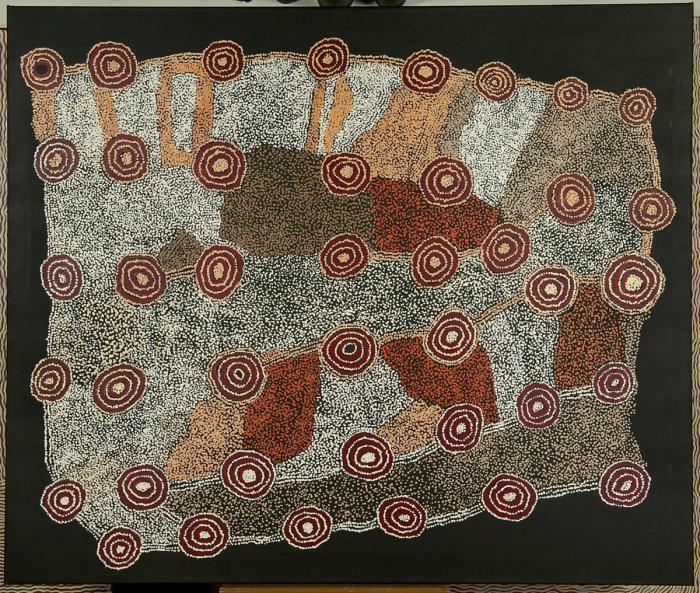 The 'Tingari' design in this painting is associated with Mina Mina Salt Lake, which is also painted by his daughters Dorothy Napangardi and Margaret Lewis Napangardi. The Tingari were a group of ancestral men and women who travelled the central desert region during the dreamtime, the time of creation, and conducted sacred ceremonies, creating the landscape. 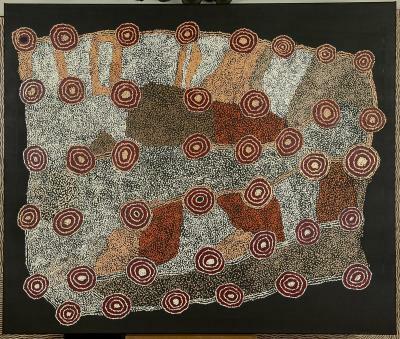 The stories of the Tingari remain a closely garded secret amongst the senior Warlpiri custodians. The activities that took place during the time of creation, or Tjukurrpa (Dreamtime), are land marked by a series of geological features. These are regarded as evidence left by the ancestors to indicate sacred sites. Paddy Lewis was born in the late 1920s west of Mt. Doreen and Yuendumu in the Northern Territory. 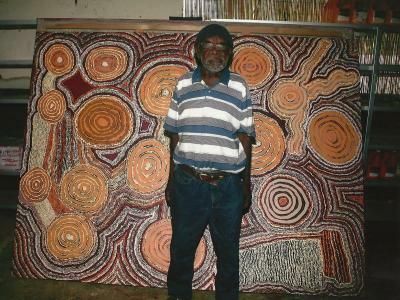 In the mid-1950s, Paddy and his family were forcibly relocated to the settlement of Yuendumu in accordance with the government’s assimilation programme. Unable and unwilling to adapt to their new lifestyle, the family moved back into the desert. Not long after their ‘escape’, they were agai . . .